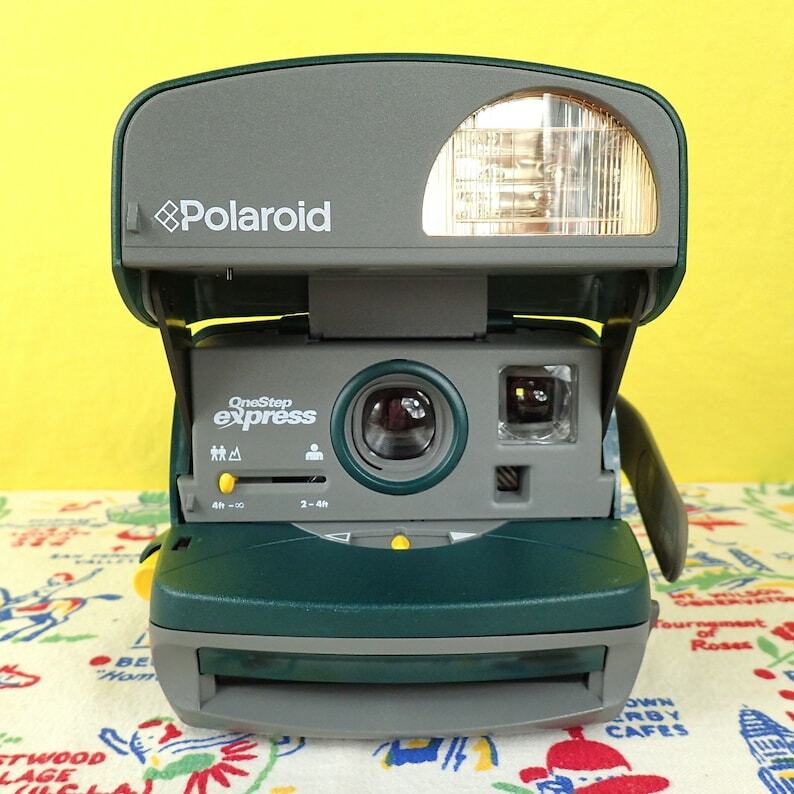 This 4th generation variant of the OneStep 600 Express from the 1990s has an adjustment switch to lighten or darken your photos as well as a close-up option that's great for selfies. The camera is turned on by swinging the flash portion up to face forward and the light indicates that the flash is ready. This used camera has some scuffs and part of the handle has broken off. I have tested and cleaned this camera and it works well; please see the test photo. When buying Polaroid film, be sure to buy the Polaroid 600 film and see my FAQ below. You can add a pack of fresh Polaroid film to this order for $18. Buy some extra packs or new tongue installation from my shop, too! Please be sure to look at all the photos and contact me if you have any questions. I do offer combined shipping when possible to save on costs. All sales final with these vintage and used items, but please contact me if you have any questions or concerns after the sale.